If you enjoy driving your car very much, you probably want to equip it with a decent sound system in order to play your favorite music along the way. In this article, we will discuss the comparisons between Pioneer AVH 290BT vs AVH 291BT, which are two multimedia DVD receivers that look very similar to each other. So, why did Pioneer release two similar models with different names in the first place? As a matter of fact, Pioneer AVH 290BT is the ‘generic’ model that is sold by many stores and retailers. 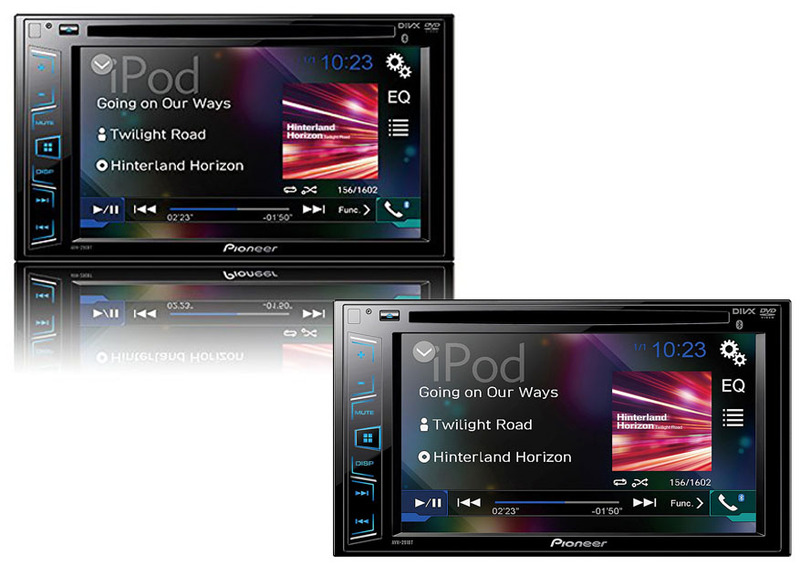 On the other hand, Pioneer AVH 291BT is an exclusive model that is distributed only to Crutchfield. In many cases, the generic model is available at a more affordable price point than the exclusive one. This is also the case with Pioneer AVH 290BT and Pioneer AVH 291BT. The 290BT is cheaper by a few tens of dollars compared to the 291BT. As an exclusive seller of the model, Crutchfield is free to put a slightly higher price tag. But does the higher price bring more features or benefits? Not really. See our comparison article between Pioneer AVH X2800BS vs AVH 280BT. Each of the two models comes with an aux input, an audio/video input, and four-channel preamp outs. Each also has a USB input, so you can easily connect a USB flash drive to play your favorite music from there. The USB port also supports direct control for iPod and iPhone devices. Furthermore, both Pioneer AVH 290BT and Pioneer AVH 291BT have built-in Bluetooth, so you can connect your Bluetooth-compatible mobile devices to either model wirelessly. On the front of each device, you can see a 6.2-inch WVGA touchscreen display. It looks sharp and bright. The color quality is very good. You can even enjoy some good movies there, but keep in mind not to watch anything else while driving. The touch control is great and responsive. You can read the complete specs of the AVH 291BT from Pioneer here. Both Pioneer AVH 290BT and Pioneer AVH 291BT have similar sound quality. They have a similar frequency response range of 20 Hz – 20 kHz. They also have identical RMS power and peak power levels, which are 22 Watts and 50 Watts respectively. In general, these devices are powerful enough to drive most car speakers. They can deliver accurate and powerful sounds. The bass is good performance is good without disturbing the mids and highs. Meanwhile, the midrange and treble are crisp and clean. Between the two models, Pioneer AVH 290BT is definitely more recommended. It has the same features and sound quality as the 291BT, but it comes at a more affordable price. The performance is very good, with accurate and clear sounds. The 291BT is more expensive only due to being an exclusive model sold by a particular retailer, without any additional feature.